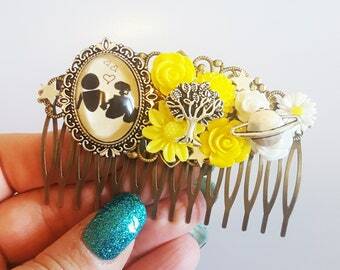 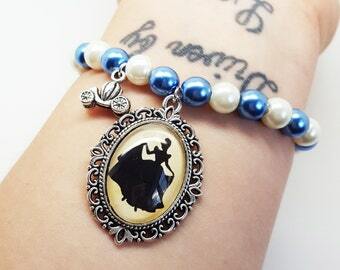 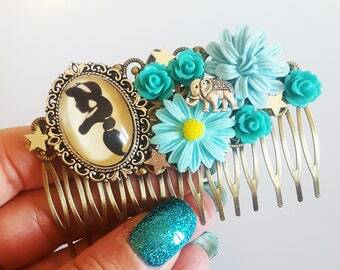 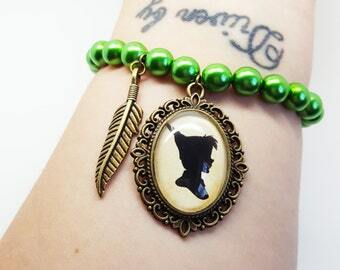 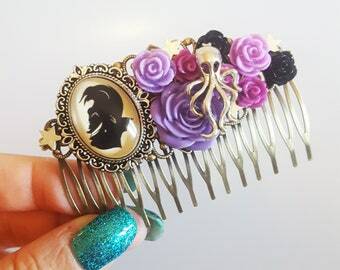 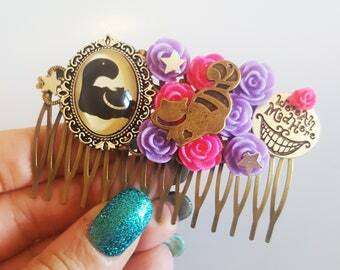 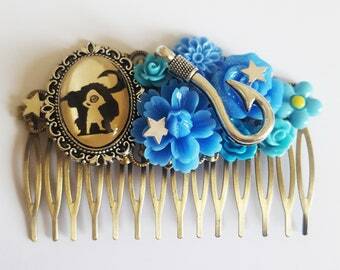 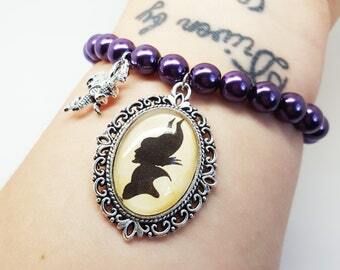 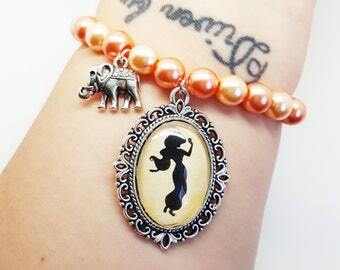 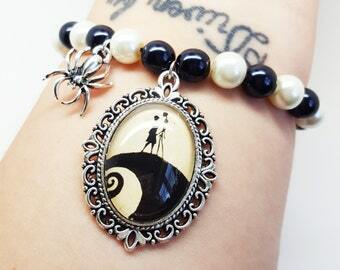 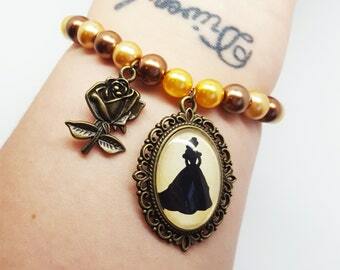 A small glass sealed handmade cameo depicting a silhouette of Disney's Tinkerbell from Peter Pan is the focal feature of this one of a kind Disney hair comb. 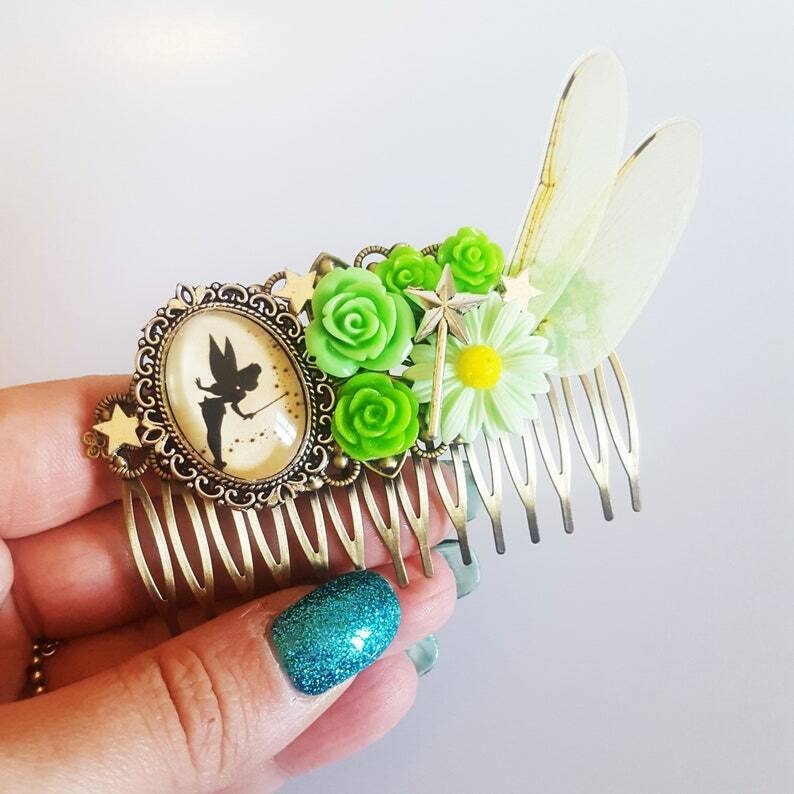 The comb is made using an antique bronze filigree comb setting and is embellished with green resin flowers, star charms, a silver plated magic wand charm and a pair of handmade iridescent fairy wings. 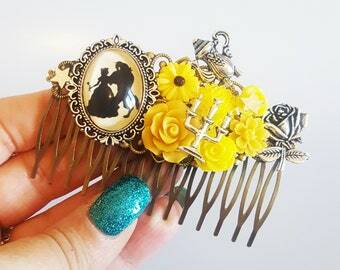 Each hair comb will arrive in a recycled kraft gift box and protected by a cardboard mailer box.